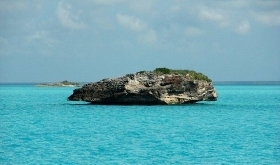 About Manjack & Noname Cays, Abaco, Bahamas - A Guide. 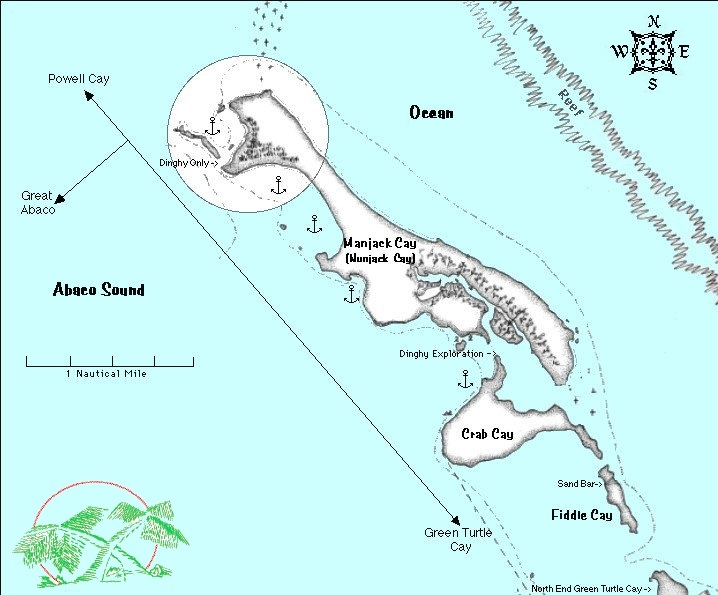 To the north lies Manjack Cay (Chart). 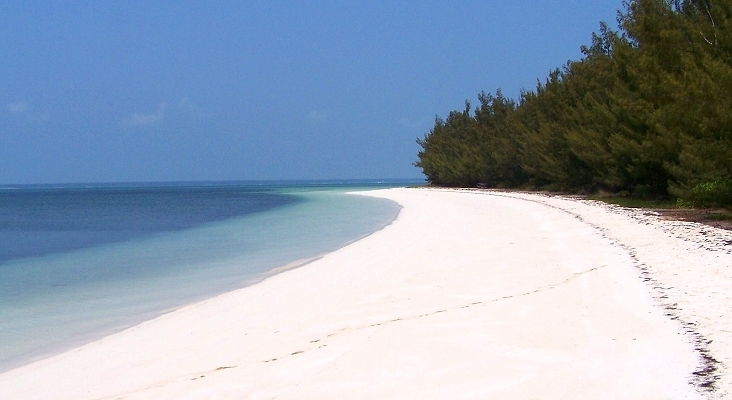 At it's northern end you will find the quintessential white sand beach one only dreams about. At it's southern end two smaller cays Fiddle & Crab seem to have broken away from Manjack. It's hard to notice their separation until up close. They make for interesting exploration and have beautiful beaches too. The northern end of Fiddle has a great beach and is a short hop from G.T. 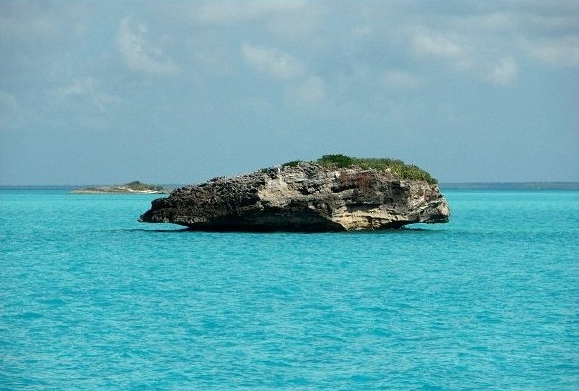 We often go there and wade the pass between Fiddle and Crab Cay. You'll see its beautiful white sandbar upon approach. But don't anchor over it if the tide is going out - stay slightly to its south in the grassy deeper water. 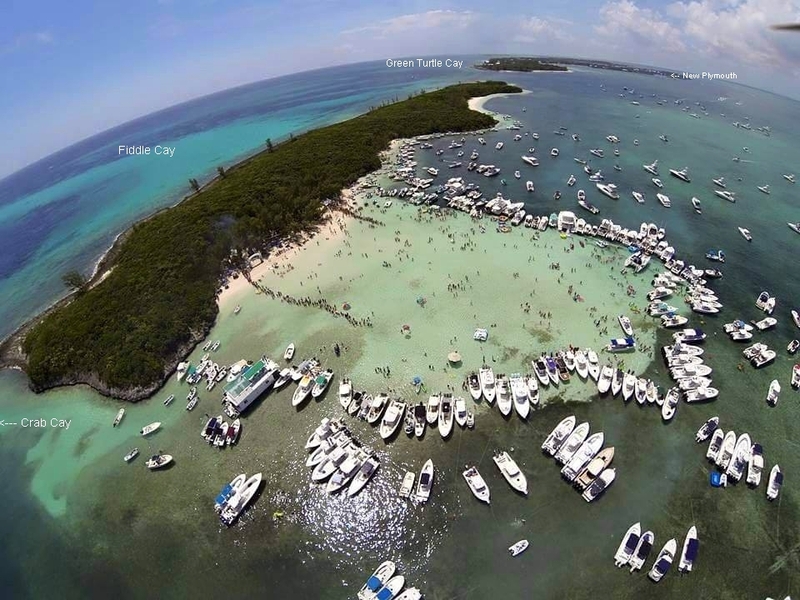 Fiddle Cay is the location of the annual Stranded Naked party which kicks off the Regatta Season in July (drone image). Don't let the name fool you though, it is actually a major Abaco event and a fun-for-all happening for kids too. With the exception of when the party is taking place, you'll probably be the only folks there. Furthure north on Manjack, around the first point north of the pass separating it from Crab Cay you'll see a creek that leads into the heart of Manjack. It's the home of many turtles and makes for some interesting dinghy / small rental boat (13-15 ft) exploration. Play it safe, and go at high tide. (Chart). 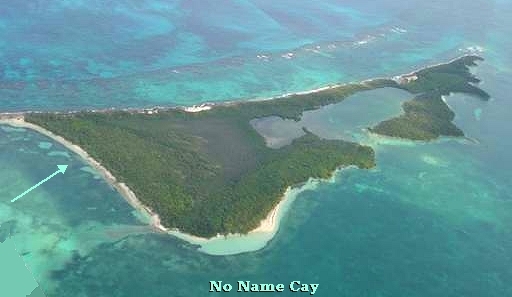 The island to the south of Green Turtle Cay is Noname Cay. It's about the same size as Green Turtle Cay but uninhabited except for a few friendly pigs. 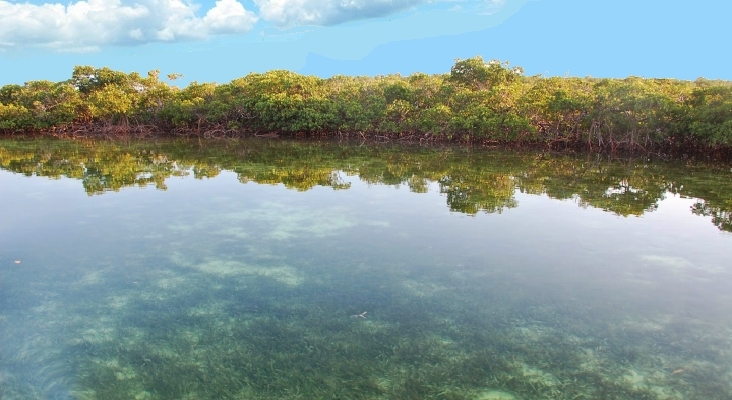 It's suitable for exploration and picnicking* when renting a small boat and is about as far as you should go south of Green Turtle in a 15-17 footer. It's northern end and closest point has a another beautiful crescent beach running from west to north and whose bottom is a patch work of sea grass, sand and flat coral rock bottom. Just go slow getting to the beach. Behind is a beautiful stand of Casuarina's trees. It's a favorite spot for picnicking. 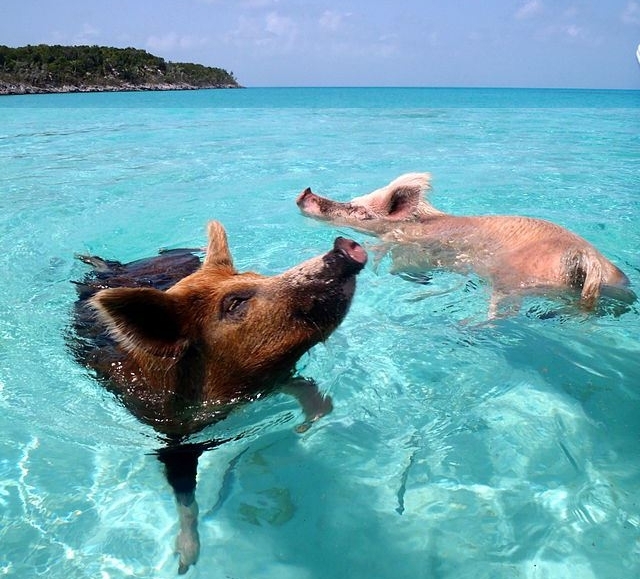 In recent times pigs have unfortunately become residents of Noname Cay, and are attracting too much local attention. They are now accustomed to visitors and will walk up to greet you even if you are in the water. Caution is recommended when picnicking. They belong to local folks whom on occasion thin out their numbers, if you get our drift. Whether or not they wind up at Nippers on Sunday, we cant say. The Wildlife blog at Rolling Harbour Abaco, has a feature on them.